Blend low-fat milk with Nutrilite Soy Protein Drink Mix (Green Tea Flavour). Pour chia seeds into the mixture and stir well. Chia seeds will begin to gel. Chill in refrigerator for two hours or overnight. 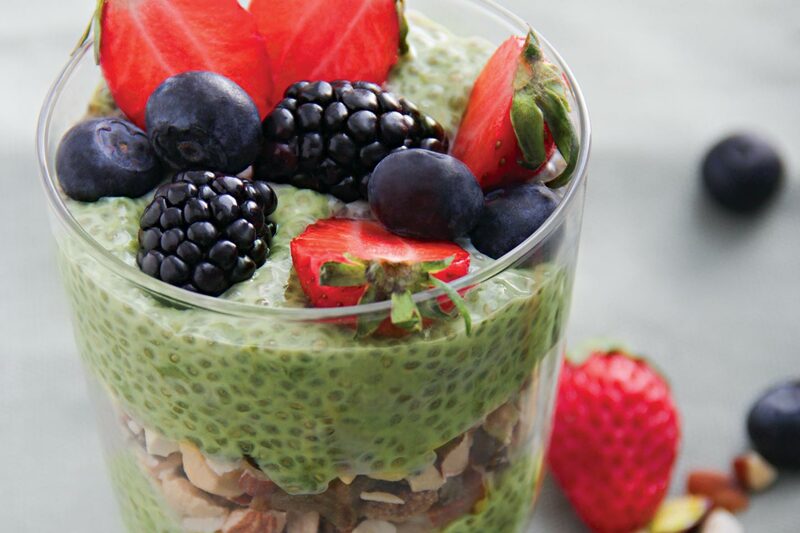 Layer with healthy nuts or berries and enjoy!